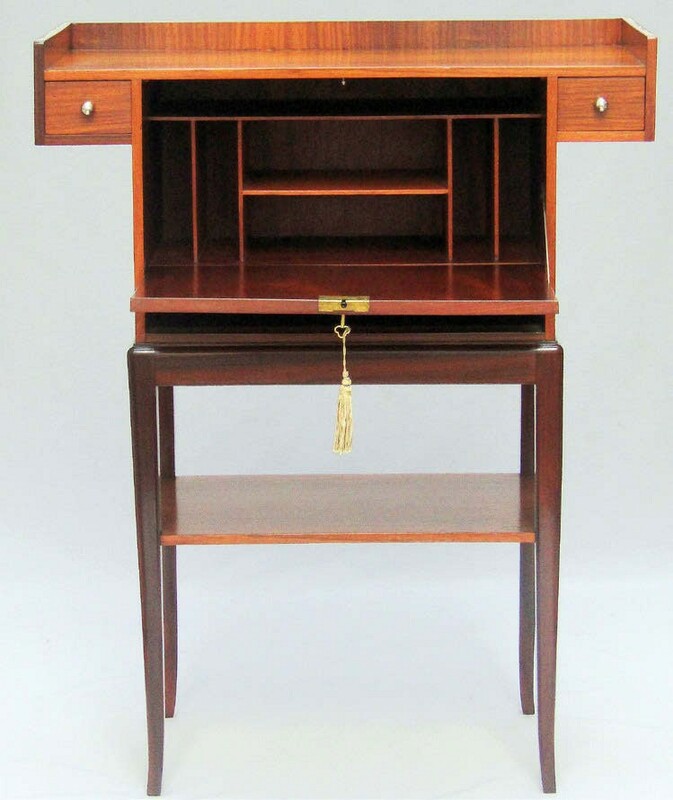 The bureau, offered by L&V Art and Design for £2500, was produced by Louis Majorelle (1859-1929) and features mother of pearl inlay. It is included in the foyer display, a regular feature of the fair with a revolving theme – this time A Room of Her Own. It offers a form of classic English style with ‘an air of Bloomsbury Set boho-chic’ on the 90th anniversary of the publication of Virginia Woolf’s A Room of One’s Own. The display pairs pieces such as the bureau with floral fabrics, pictures and accessories with 20th century design elements in a contemporary fashion. 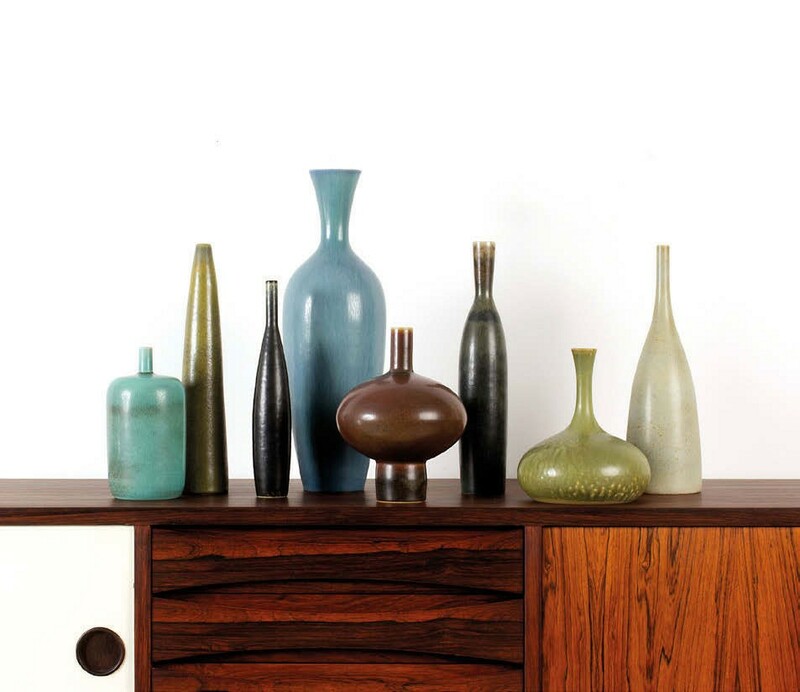 Second of the three annual Battersea decorative fairs, this staging runs from April 9-14. 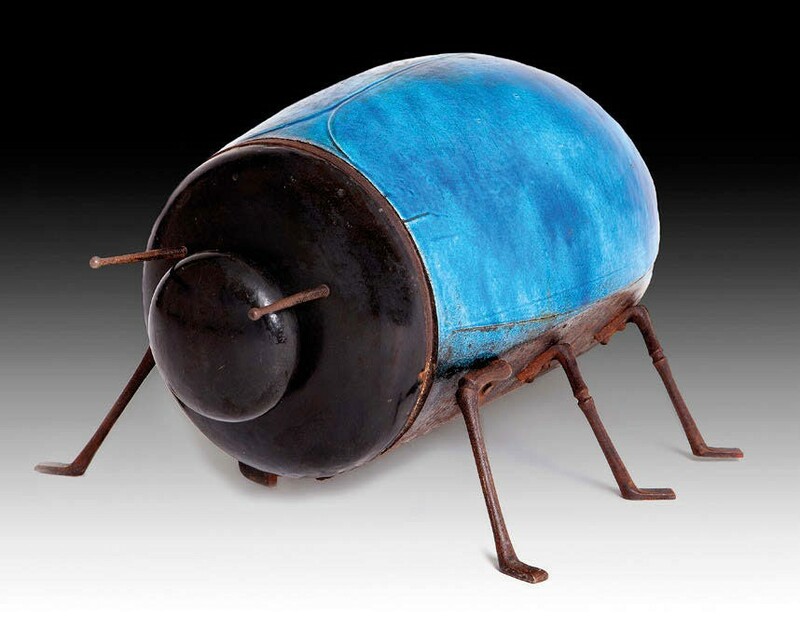 As the spring edition, there is an emphasis on garden antiques from exhibitors such as Jill Palmer, who offers terracotta animals and other unusual objects, Nicholas Gifford-Mead, who brings antique statuary and seating, and Nikki Page Antiques, which features metal urns and birdcages. Visitors to the fair will encounter a number of first-time exhibitors. Among them are Ottocento Interiors, Henry Miller Fine Art and Nordlings. Shoppers may also search out decorative Georgian ‘country house’ pieces from Adam Calvert Bentley, early oak from Peter Bunting or mid-20th century design and antiques from Catherine Despas. All told, there are more than 150 exhibitors taking part.